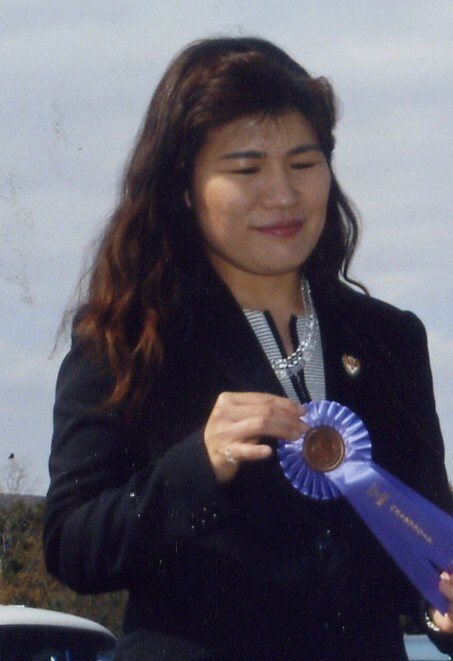 Chie Ejima is Japan Kennel Club and FCI all breeds judge at International championship shows level !! we have a beutifil show puppies! enjoy dog life in the world ! Queen Bless start SHIBA !! showing world wide! New Super Star showing in the World ! 2010 Jr-World winner ! JkcCh Akira !! & JkcCh Asuka ! 2009 No,1 USA Mirian got BIS in USA ! 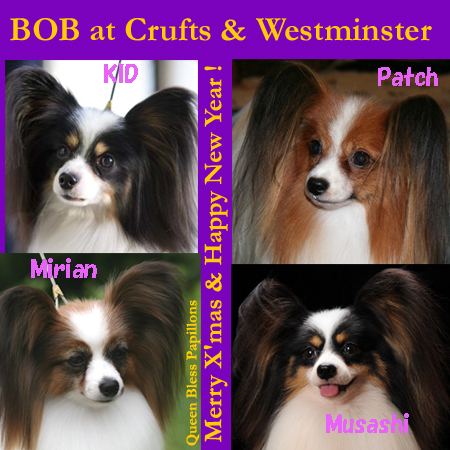 Mirian & Chie got BOS at Westminster 2010 ! BIS EngCh MultiCh QUEEN BLESS JP ROYAL CONNECTION is now European Winner 2009 and Irish Champion! Queen Bless Jp Royal Connection became World Winner 2009, BOB and BOG-3 and Slovakian Champion! This little boy has won what ever you can dream to win! At the all breed National show "Ricky" ended up BIS under Mr. Eugene Yerusamlinsky from Russia! 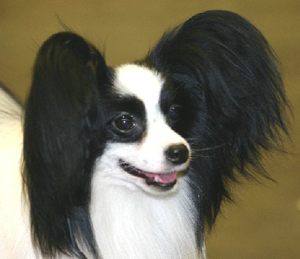 Thank you also to the judges Yolanda Nagler Malgal from Israel who judged Papillons and group final! 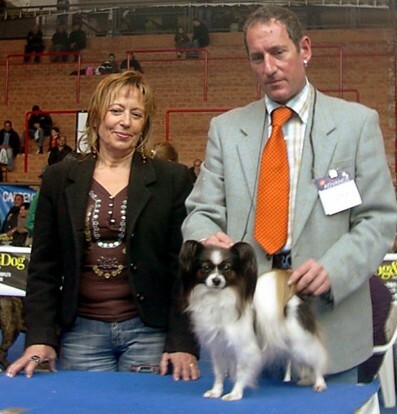 Thank you to Mrs. Tatjana Ulreck from Slovenia who judged Papillons at the World show and to Mr. Luis Pinto Teixeira who judged group final and put him BOG-3! 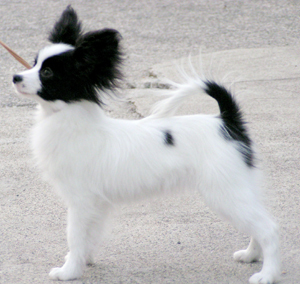 Most successful papillon in the world ! Ricky got many BIS in the world ! 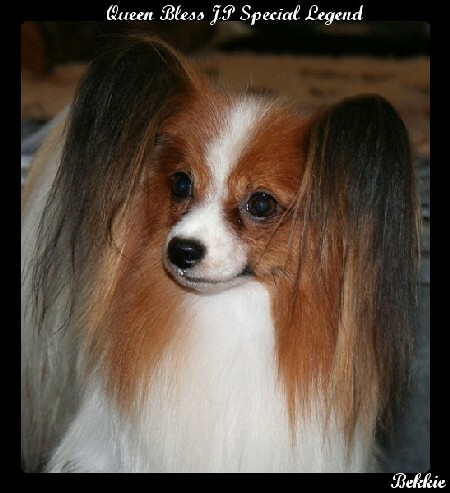 Please see SUPER Papillon quality in the word wide show ring!! PCA 2001,'05,'07 '08 Golden Butterfly Award (USA) Winner Kennel !! The Dream come true ! 2009 Crufts BOB & Group 1st !! The Queen Bless success is continuing around the world with the most great result you can get! 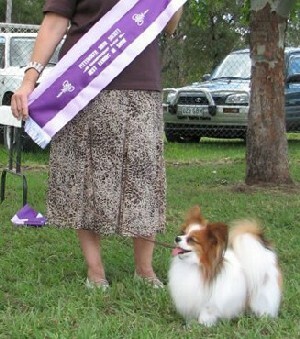 Our CH Quuen Bless Jp Royal Connection won the toys group at Crufts 2009! Thank you to the breed specialist judge Mrs. Jean Banfield (kennel Kingshaven) and to the toy group judge Mr. Tom Mather! see You-Tubu !! "Patch"got Crufts "ＢＯＢ!" to crufts page. Patch showing in UK with Mes,Jean Banfield ! KID got BOB at 2008 Westminster ! Now KID is No,1 ranking in USA at 2007 & 2008 ! #1 USA IntCh JkcCh AmCh Queen Bless Jp Principal KID !! Thank you Brian & our Team in USA ! KID got 5 times BIS in USA !! '08.1/6 YU-GA got Sweden-winner'2008 in Sweden !! PATCH got "BIS" in Holland !! Super Red Boy in Euro Now !! 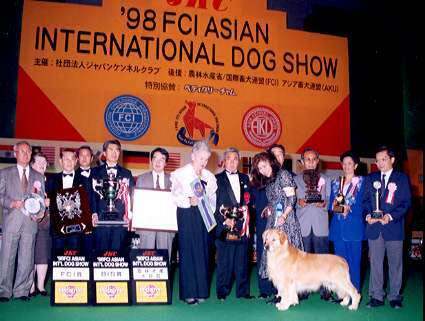 Breed and group judge Mrs. Monique van Brempt from Belgium, BIS judge Mr. Tamas Jakkel from Hungary! Thank you Kristy for this wonderful news! ! Frin got BOB & G3 at Euro-winner show 07! Super Show Dog FOR SALE ! Musashi got BIG WIN in euro !! 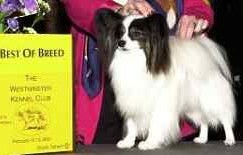 2007 Westminster Dog Show "BOB"
Bred & owned & handled by Queen Bless. It has been a wonderful WON ! Musashi went after Westminster to EUROPE !! with Stefano ! We will see Him again at the EUROPEAN dog show in Croatia ! Toy Group 1st at FCI dog show in Italy !! with Stefano ! Musashi got BIS in Italy at May! handled by Chie! KID appeared on the cover of New Papillon book in Japan. 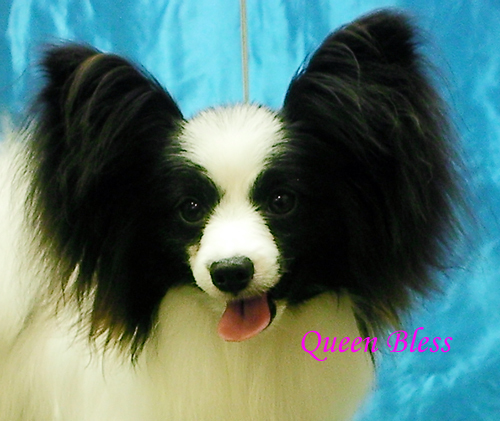 breeder Interview is Queen Bless Kennel. my sweet Red Boy! "PATCH" got New BIS in EURO ! Gaia got BOB at Westminster !! Gaia got SOM & Golden butterfly in USA ! 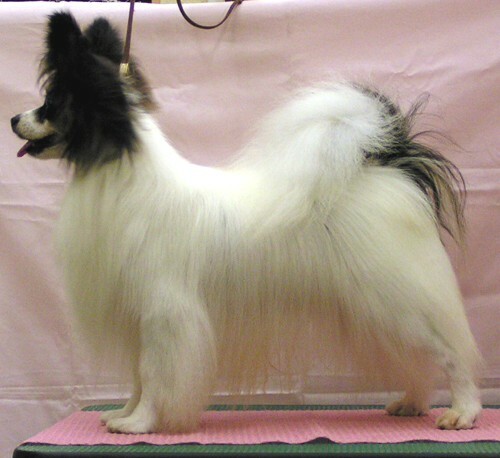 2BIS AusCh JkcCh Queen Bless Jp Red Disco Dancer "Tumfee Jr"
BIS AmCh Queen Bless Jp Royal Silk " Danny"
PCA Nat'l dog show "AOM"
NOW we have Danny's 2 pups ! Wonderful honner WON !! "BIS"
Thank you ALL Queen Bless Show Team ! 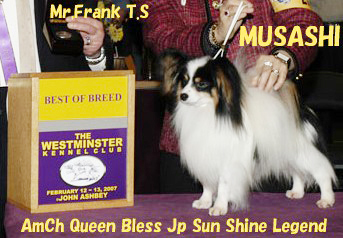 BIS Queen Bless Jp Success Magic "TUSS"
ItaCh JkcCh BIS Queen Bless Jp Victoria "Frin"
Now we have Frin's next litter ! JkcCh BIS Queen Bless Jp Lotas Magic "Rocky"
Rocky is next litter of #1 ranking USA "Danny" !